Located at the third floor of SM Mega Fashion Hall, this Spanish restaurant is the perfect place to have that romantic dinner date with your partner, or perhaps a good spot to have those serious business dinner meetings. Formerly known as Boqueria, the restaurant re-branded because of some issues with regards to its name. 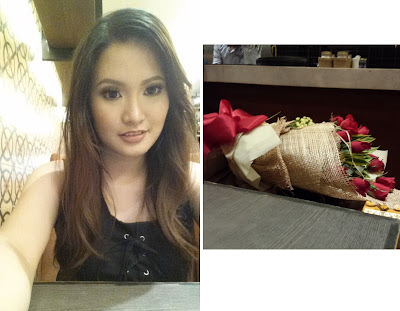 Though, the menu and interiors remained. I used to have business meetings with other doctors in this place; But this time, I am finally able to have that romantic dinner date experience here with my man on our anniversary night. Upon entering the restaurant, the staff would greet you with a warm welcome in Español. The candelabras, couches, and interior design would also add up to your Spanish dining experience. Paella Negra. 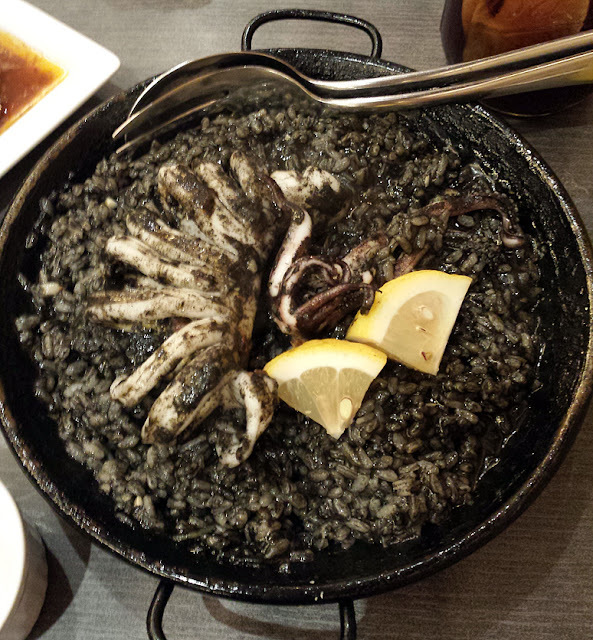 This rice cooked in squid ink, topped with sliced squid and lemon then served on a paella pan also comes with a sauce served on the side that tasted like bangus (milkfish) belly. (I was informed that it was ajo sauce. Just not able to confirm it). This paella can definitely stand by itself. No need for a side dish. Yum! 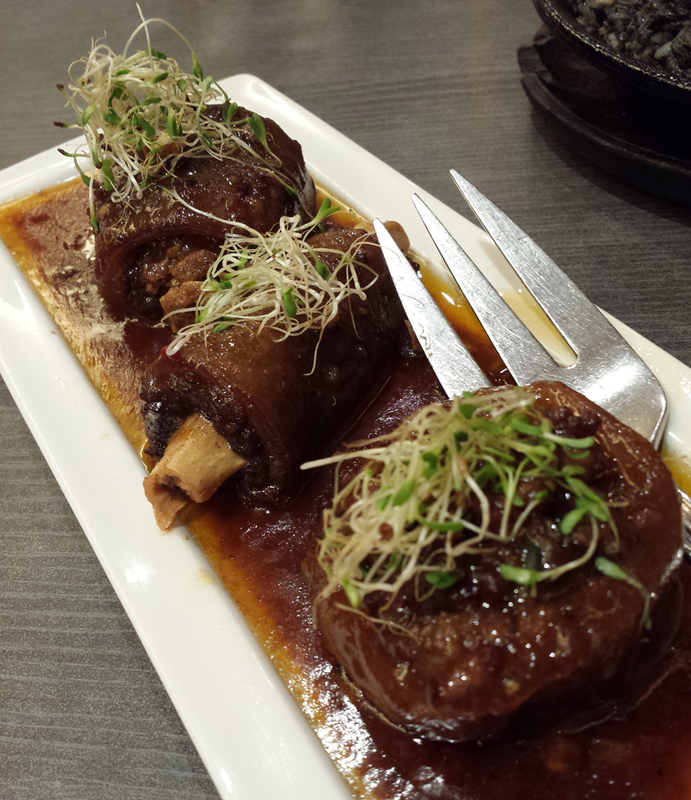 Rabo de Toro. Spanish bull tail stew topped with alfalfa sprouts, slow cooked that explodes in your mouth when you eat it. Definitely not for those who are watching their fat intake. 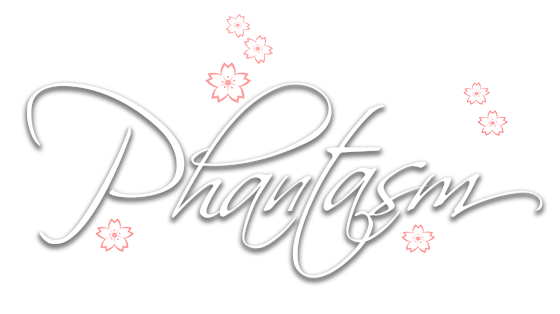 It even made me feel a bit dizzy when I tried it; but then it's still very good. Even my boyfriend can't stop eating them. After our date, he even had to invite his friends to try this again with him. Salmon al Horno con Salsa. 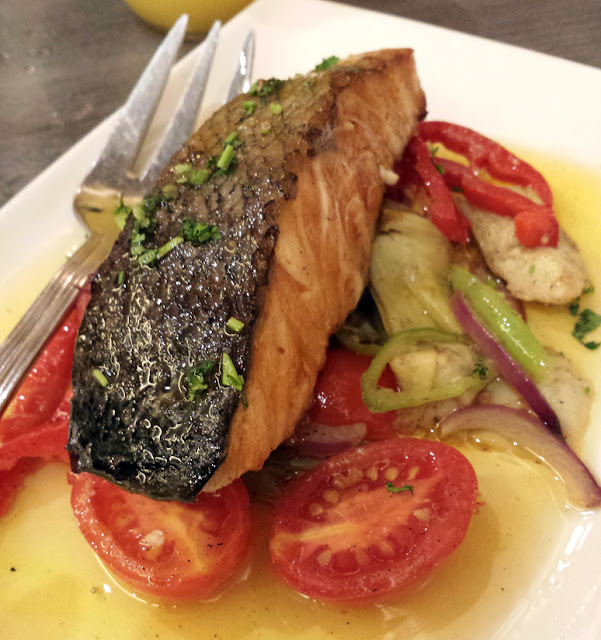 Baked salmon in olive oil, tomatoes and spices. Finally, something safe and healthy for me to eat. The salmon is baked just right as well as the salsa--not too sweet, not too sour. 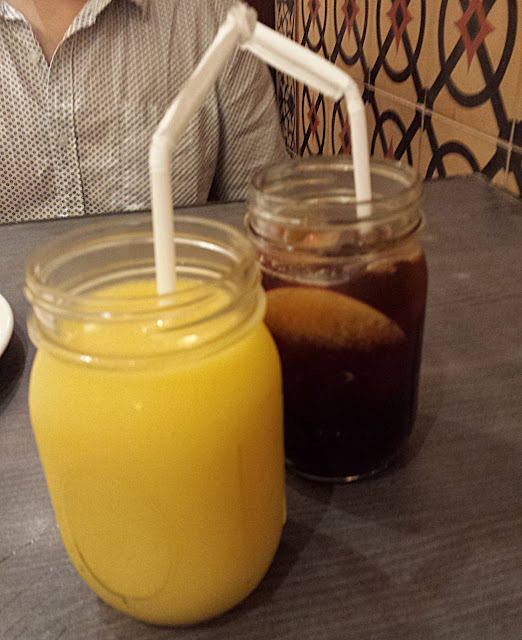 Mango Batido de Frutas (Fruit Shake) and Cinnamon Té Helado (Iced Tea). Both are good, sweetness is just right. Enough to balance the seafood and fat intake that we had for dinner. I apologize for the blurred shot. 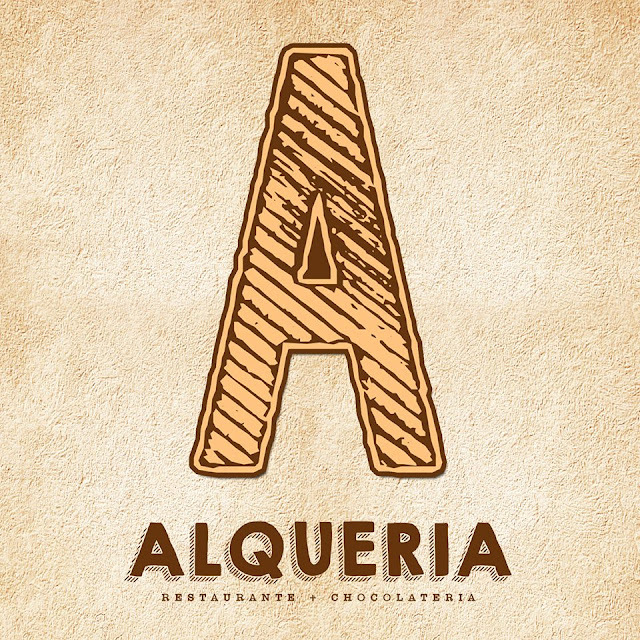 The food on Alqueria's menu is quite pricey, especially if you would base it on the amount of serving; but considering the taste/quality of food and drinks, service, ambiance and interiors of the restaurant, it is well justified. For more information on Alqueria, here is their Zomato profile.